Doctors are calling the dangerous trend "avocado hand." Cutting an avocado is not easy. The thick skin can be tough to crack, and that hefty pit isn't always easy to remove. Many people need a handy guide to learn how to do it right. And if you’re not careful, getting the creamy meat out of this popular fruit can even lead to injury. 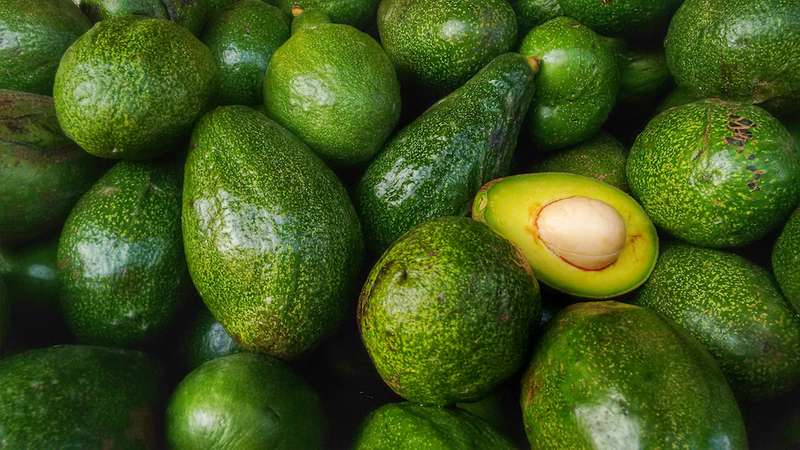 The Times of London reports that more and more surgeons are seeing cases of what they call “avocado hand” – amateur chefs who go to the hospital with hand injuries they sustained while struggling to halve this well-protected fruit. The problem has become so bad that The British Association of Plastic, Reconstructive and Aesthetic Surgeons is calling for warning labels on avocados. They say that people are literally damaging their nerves – sometimes requiring surgery – all in the name of getting to the heart of this inarguably delicious treat. “People do not anticipate that the avocados they buy can be very ripe and there is minimal understanding of how to handle them…Perhaps we could have a cartoon picture of an avocado with a knife, and a big red cross going through it?” Simon Eccles suggested to the Times, which has also generously provided it’s own graphic on how to properly slice open an avocado. Mr. Eccles claims that he treats about four patients a week for “avocado hand” – that’s four people every week who all-too-eagerly stabbed into their avocados without a even a thought for their personal safety. There is (and don’t laugh!) a “post-brunch surge” in these cases on Saturdays at the hospital where he works. Just so you know, the proper way to cut an avocado, according to the British Society for Surgery of the Hand, which obviously has a vested interest in avocado technique, is to wait until it’s ripe (ideally not rock hard anymore, even a little soft), lay it on its side, and make small, gentle, incisions into the skin, moving the knife around the pit. You can then push the edge of a heavy, sharp knife into the pit and lift it out. Not too difficult if you take it slow and make sure the knife is pointed away from any vulnerable parts of your body. In fact, if there’s any lesson to take away from avocado-injuries, it’s not to stop eating this versatile, uber-healthy fruit, but rather to be more careful in the presence of sharp objects.